The EU continues to do business. Many UK politicians hope to see the UK negotiate its own bilateral trade agreements once it's left the European Union— it was one of Brexit's central building blocks. But in his speech to think tank Policy Exchange, Fox will indicate that bilateral agreements won't be enough. Over 600 million people now make up the world's largest zone covered by a free trade agreement. It's another step towards the European ideal of multilateralism in a world seemingly gripped by the idea of protectionism, according to European Commission President Jean-Claude Juncker. "Europe and Japan are sending a message to the world about the future of open and fair trade," Juncker said in a statement. "The EU thinks it's very important," said Robert Carnell, Chief Economist and head of research for the Asia-Pacific with ING in an interview with Good Morning Europe on Friday. "You know, they've been talking about the positives that they're expecting to get in terms of a trade boost from this. 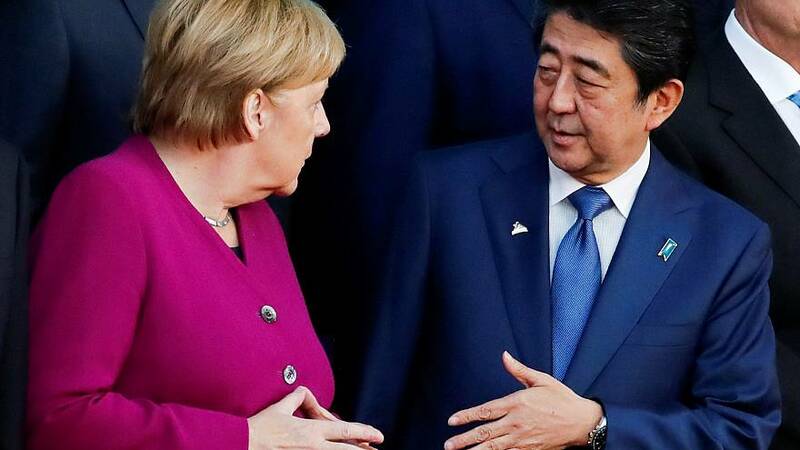 It eradicates about a billion euros worth of tariffs every year, and the EU are expecting this to have a very substantial impact on increasing trade flows between the EU and Japan— and of course that will, in their views, help to support jobs. So they're already being supported by a lot of Japanese companies working either directly in the EU or indirectly supporting suppliers to Japan. I think there's still a view in the EU and Japan and in China, that multilateralism is the way forward. It hasn't really been the way that trade deals have been made in recent years... But if you think about this, it's in effect a bilateral deal but between a very large region and a single country. So is this bilateral, or multilateral? But in any case, it gets rid of tariffs, and any movement in that direction would generally be seen by any reputable economist as a good thing." Watch the full interview with Robert Carnell in the video above.